Chasing Birdies: Are You a Dishonest Golfer? Are You a Dishonest Golfer? Why are people dishonest on the golf course? Because they’re that way in life, I suppose. Hermann Park Golf Course near downtown Houston. 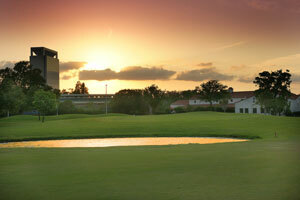 My friend and I recently teed it up at Hermann Park Golf Course near downtown Houston. For a municipal track next to a zoo, it’s a nifty layout with tight fairways and decent conditions for the price ($16.50 weekdays, $26.50 weekends). The greens are smallish and in better shape than you’d expect. They rolled just fine when we were there. Hermann Park is basically what you make it. If you want to bang driver and play bomb & gouge all day, you can do that. But you don’t have to. You can also work on course management with 3-woods, hybrids and long irons off the tees. It’s not a championship course by any means, but it is plenty fun. It’s a perfect setting for casual golf and casual golfers. Land is especially precious in urban settings, and Hermann Park does suffer a bit from adjacent fairways and the occasional golf ball whizzing by from other holes. We’ve all played on these kinds of courses. You keep your head on a swivel, but otherwise have a great time playing a game you love in a unique setting for a good price. One thing inevitably happens in these situations, however. The idiot golfer who picks up someone else’s ball. This happened to my friend at Hermann Park. We were humming along, playing our match with the two other fellows we were paired up with on the first tee. They were plenty nice. Not the greatest golfers, but that was never an issue. They were encouraging to us, as we were to them. We played the first seven holes at a good pace, everyone having a great time. Then, on the eighth hole, my friend’s approach shot came in hot and bounced over the green. I saw it hit the back fringe and carom to the rough behind the green. When we got up the green and looked behind it, her golf ball was nowhere to be found. Along with one of the other guys in our group, we spent a full five minutes looking for it. Meanwhile, the fourth member of our group was on the green, lining up his putt. I hadn’t noticed him behind the green before we got there. While blushing, he reaches in his pocket, pulls out her golf ball and tosses it to us. What the heck? I didn’t get it then, and I don’t get it now. 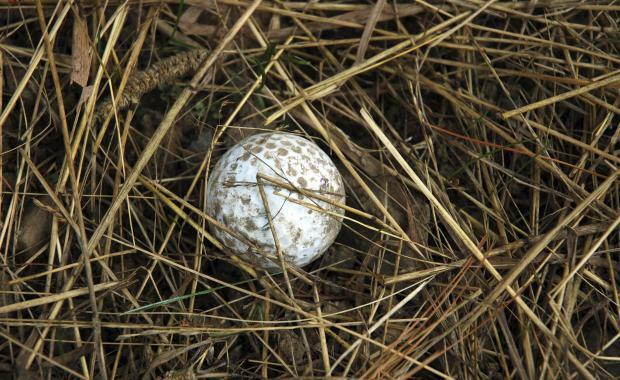 First, why would anyone pick up someone else’s ball at a claustrophobic course where so many stray shots are being hit? If it wasn’t our ball, it surely belonged to someone else on a nearby hole. Second, he “wasn’t going to say anything” because his buddy said not to? Were they embarrassed? Why, then, did he admit it when I asked him directly? We finished the rest of the round in relative silence. Not a lot of chatter between carts. My friend and I weren’t exactly mad at them; we were mostly confused. Why did he pick up the ball? Then for five minutes, he hung out on the green while watching us search for it. And then he cops to the theft on the next tee box. What’s equally mystifying is why anyone would pick up someone else’s ball near a green at a public course. I understand finding the Pro V1 in a hazard or deep in the trees. When it’s fairly obvious that you’ve found a ball that someone else lost – and isn’t currently searching for – there’s no harm in claiming a diamond in the rough. Our playing partners that day needed a lesson on honesty. They could benefit from reading a copy of my book, “Finding Ti Ming & Tem Po, Legend of the golf gods.” In the story, the golf gods Ti Ming and Tem Po not only come alive in the dreams of children to teach them how to play golf, they also teach them how to live with the values we learn from the game, such as honesty, respect and sound decision-making. The kids in the story learn to play golf at the highest levels, and along the way they learn how to live honest, honorable lives. Our playing partners from Hermann Park could use the lessons found in my book. So could all junior golfers. Golf is a game of a lifetime. Its lessons and values are equally enduring. 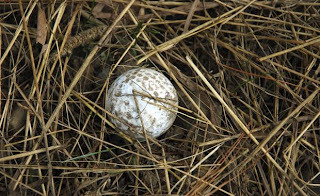 Next time you see a ball in the rough that isn’t yours, please ask everyone within sight if it’s their ball. Doesn't that put a damper on things? Don't even TRY to understand it...just forget it and move on. Sorry to hear about this.